This week’s podcast is a continuation of the last’s weeks episode “How To Use Your Creativity To Attract Prosperity”. Our mind is an extremely powerful tool and when used wisely, we can manifest and create any life that we desire. So, what is the Law of Imaging & how do we use it to attract prosperity? 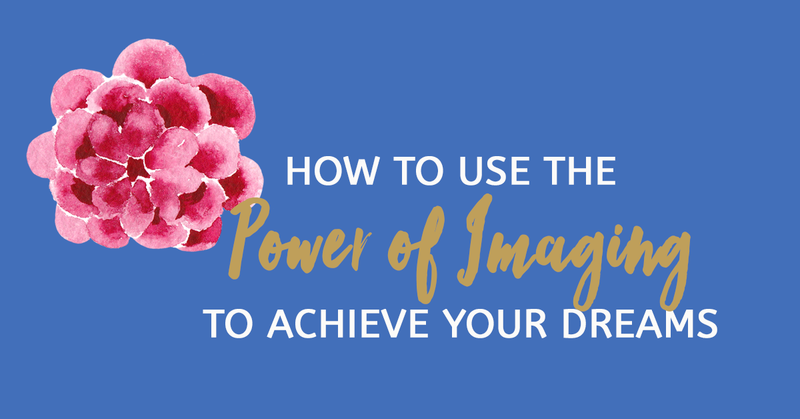 The law of imaging is when you use the power of images or imagination to speed up the attainment of your dreams and the life that you want to create for yourself. Studies has shown that we can create anything that we desire with the power of thought and imaging our goals and desires. Whether we do this in our mind or on the physical plane. When you look at your life today, what you own, the house you live in, the car you drive and the countries that you’ve travelled… it all started with a thought. Right? That’s because we are constantly creating mental images in our heads, even if we are aware of them or not. The mental images that we often visualize, can make a significant impact in our lives. Especially, if we are thinking about them repeatedly. Which is why, we have to be extremely mindful of what we think ALL THE TIME. Because whether we think negatively or positively, we can attract negative or positive events, based on what we are mentally imaging. Today’s episode on Wild Woman Run Free podcast, I’ll walk you through some of the techniques that I have used personally to attract all the abundance in my life. My wish is that you try these techniques yourself and see first hand, what it can do for you. If you like this episode and you know someone who could benefit from this podcast, please share. I hope to help as many women as I can, on their Wild Woman Journey. And, if you haven’t done so already, come and join the Wild Woman Run Free tribe! Where we can all support one other on our journey as a woman, entrepreneur and a leader. Check out the Wild Woman Run Free Facebook Group and the Wild Woman Run Free Facebook Page and tell us about what you’ve manifested into your life, through your imagination? Thanks again for joining me Wild Woman and until we meet again – Live Wild, Live Free, Wild Woman Run Free baby!